You may or may not know Jack. Originally released on the PC, then later ported to the iOS and Nintendo 3DS, Mensa Academy makes it debut on the Xbox Live Arcade platform. 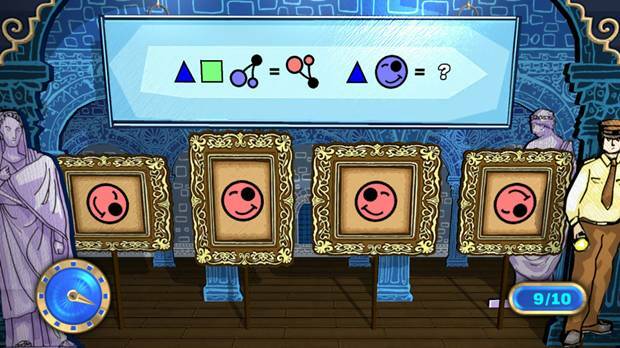 A learning game at its core, “Mensa” is actually Latin for “table.” But you won’t be learning anything about the arts and crafts of furniture at this academy, nor will you find other digital students to engage in throughout the game. Actually, the title is endorsed by the Mensa International, an organization comprised of those with an high IQ and encourages brain building. But I’m fairly certain sure they have loads of tables over there. Upon booting up, Mensa Academy greets you with 2 characters who looked like they stepped out of the last console generation. Don’t worry, they don’t talk too much. You’re then introduced to the meat and potatoes on offer, mainly the single player and multiplayer modes. The single player is further divided into three portions: the Play, Coach and Test modes. Play is then divided up into 5 types of academic disciplines, mainly Language, Numeracy, Logic, Visual, and Memory. Each of these types contain their own set of minigames, based on the five disciplines. For example, Language will have you differentiate a string of words, and then ask you to pick the odd one out. Similarly, Visual will ask you to determine which of two animals (a hare and a tortoise) will complete a race first. 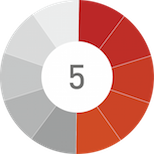 These minigames are broken up as levels and regularly mixed and matched, with only 10 questions given at a single time, along with score that you must beat in order to attain the highest rating. There are a total of 20 levels per academia. Because there is no way to directly skip ahead, most of the initial levels play out relatively simple enough. Meaning, the player has no control over difficulty. The Coach mode, however, breaks up minigames into their own independent levels. So if you want to discern numerical equation puzzles in a gradually increasing difficulty for ten times in a row, you totally can. 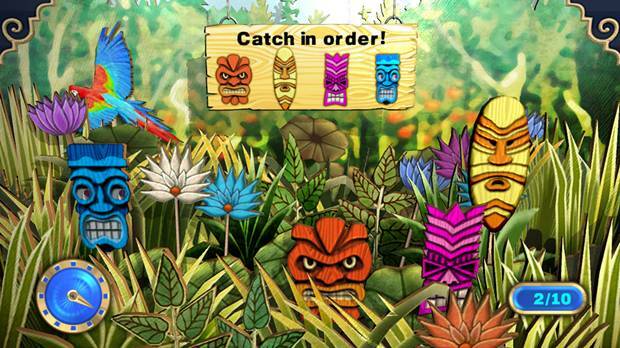 Unlike the in-game 3D models depicted throughout, a good amount of the minigames themselves are presented in a colorful, cardboard cut-out style with progressively subtle changes in the scenery. Since this is where you’ll essentially be spending a lot of your time, it helps that developer Silverball Studios were able to make this far less repetitive than it could’ve been. What doesn’t help are the constant pop-up messages asking me to sign into Xbox Live. These appear on an alarmingly frequent basis; once before you start a level, and then another after completing it. Also, out of all the modes, Test is probably the least engaging. It also doesn’t help that animations can not be skipped, such as when you’re taking down an elevator to the testing chamber, or whenever Professor whats-his-name is playing on his organ before he declares the result of a multiplayer match. And while it’s entirely possible to enjoy some local split-screen multiplayer, Mensa Academy doesn’t support online matchmaking. It may seem like a small complaint given the genre, but it would’ve been great to see some Hero Academy-stlye asynchronous multiplayer of sorts implemented. However, not being able to adjust difficult settings amongst players is a definite downer. Mensa Academy, as a learning experience, won’t exactly set your world on fire. It does what its set out to do, but it isn’t enough to really warrant a look on consoles. It may actually be wiser to check the iOS version, which is likely to be priced much lower. For everyone else, the trial version does pack quite a bit content for those looking to have their younglings entertained. Mensa Academy, as a learning experience, won’t exactly set your world on fire. It does what its set out to do, but it isn’t enough to really warrant a look on consoles.